Dealing with the cleanup and restoration of a flooded basement in Aurora can come with great cost and enormous hassle. You need the trained professionals at ServiceMaster of Aurora to make sure the job is being done right to minimize the damages on a short and long term basis. You need the team of expert cleaners to find the cause, fix the problem, clean up the mess. Trained and experienced technicians use state-of-the-art equipment and techniques take your flooded basement and restore it as new with a guarantee of quality service at competitive prices. For any questions or to schedule an appointment, call 630-896-0030 today to speak with a knowledgeable representative about our wide range of residential and commercial cleaning and restoration services. You can also email us anytime at info@servicemasterofaurora.com and we will respond shortly. Flooding caused by extreme weather, faulty or old sealant, and sewer backups cost homeowners millions of dollars every year. Improperly repaired and refurbished flooded basements can cause permanent damage, adversely affect the value of the home, and can potentially damage property and belongings. The service technicians at ServiceMaster of Aurora are fully trained and professionally certified by the Institute of Inspection Cleaning and Restoration Certification (IICRC). They have dealt with every kind and size job and can handle your flooded basement in Aurora completely, efficiently, and at prices you can afford. You can come upon a flooded basement any time of the day or night. Disasters have to time frame. Rest assured knowing that industry experts at ServiceMaster of Aurora are ready and available 24-7 to handle any problem. You may not be ready for your next emergency, but we are. If you have any questions or would like to schedule an appointment, call 630-896-0030 now to speak with a knowledgeable representative about our wide range of residential and commercial cleaning and restoration services. Or simply fill out the contact form below, or you can email us anytime at info@servicemasterofaurora.com and we will respond shortly. We do it right, Guaranteed. That’s the ServiceMaster Guarantee of quality. We back our promise of Satisfaction with performance and action. If it’s not done the way you want it, we’ll do it again. It’s that simple, no question’s asked. 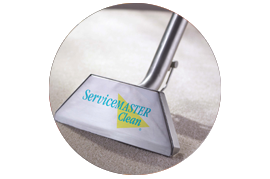 We use our own processes, products and equipment created and designed specifically and exclusively for ServiceMaster. This unique arrangement maximizes our performance and protects your property and family. Our on-going training keeps our service partners current on the latest techniques and advancements and ensures the service and performance you expect from the nation’s leading cleaning service.